A plan to install solar power panels at 25 city-owned properties over the next 20 years received a tentative green light Wednesday from the San Diego City Council’s Infrastructure Committee. A city staff report said the sites could be used for nine rooftop solar systems and 19 parking lot canopy arrays. Among the proposed locations are seven police stations, four libraries, the City Administration Building and surrounding structures, and the parking lots at the Mission Trails Regional Park Visitors Center and Inspiration Point in Balboa Park. 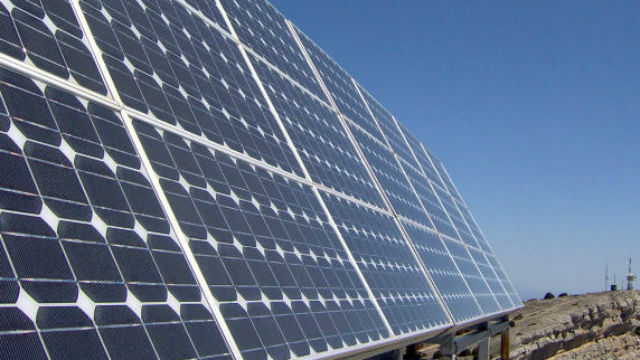 Under terms of the proposed deal, which will now go before the full City Council for approval, SunEdison Government Solutions LLC would install, operate, own and maintain the solar photovoltaic systems over two decades. The city would buy the power supplied by the systems from SunEdison, replacing electricity that otherwise would have been purchased from San Diego Gas & Electric. City officials estimated the cost of purchasing power for the 25 facilities from SDG&E over the next 20 years would be $48 million, compared to a $26 million price tag for solar from SunEdison. The total savings would be $22 million, ranging from a projected $500,000 in the first year of operation to more than $1.7 million annually by the end of the term, according to the staff report. “This is about using our infrastructure to its fullest potential and using community buildings to save our community money,” Mayor Kevin Faulconer said at a news conference before the committee meeting. “Libraries and recreation centers are hubs for community engagement, and now they will be hubs for green energy,” he said. Committee Chairman Mark Kersey said the savings projections are “fairly conservative,” with costs of traditional energy sources expected to climb in the future. Mario Sierra, director of the city’s Environmental Services Department, said construction could begin around March or April next year and be completed by August. The project could become more ambitious in the future. Sierra said 40 other municipal properties were identified as good candidates for solar systems, and they could be brought before the committee in about four months.